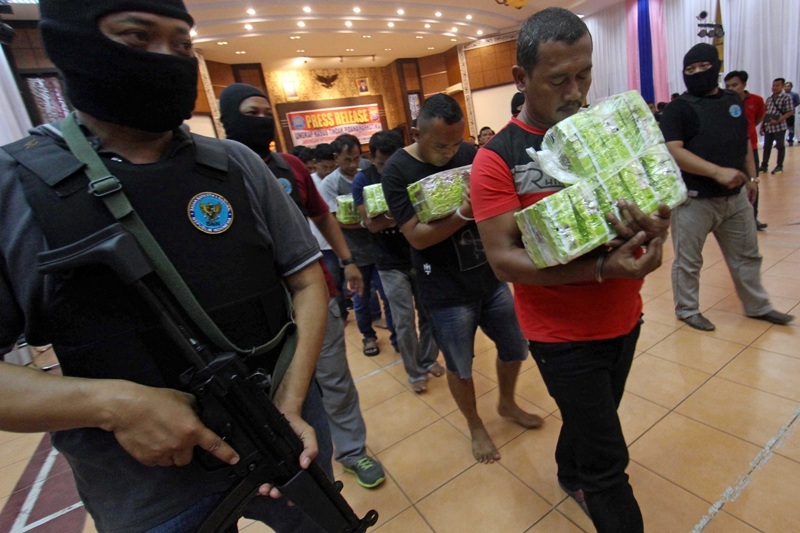 A suspected transnational drug smuggling attempt near Pantai Cermin in North Sumatra arriving from Malaysia via the Malacca Strait on Saturday, July 15, has prompted a renewed look at how the authorities can manage crime in far flung regions. North Sumatra Regional Representative Council National Anti-Narcotics Movement Chairman Hamdani Harahap called on regional police to be more alert when patrolling the Pantai Cermin area. “This can be a serious threat for our young generation, especially residing in Serdang Bedagai Regency and the whole province of North Sumatra,” Harahap said, as quoted by Okezone. At least 48 kilograms of methamphetamine were confiscated by police during the recent incident. Harahap said smuggling occurs in the area as it is difficult to fully monitor due to the landscape. Pantai Cermin is adjacent to the Malacca Strait, which runs between Indonesia, Singapore and Malaysia, and is used to traffic drugs. Harahap said this haul had been shipped on board a traditional canoe in an effort to dodge security forces. The smuggle attempt was discovered by North Sumatra Regional Police, the National Narcotics Agency and Customs and Excise officers. All ten members of the syndicate have been arrested. The operation initially launched based on reports from the local community. Two smugglers — identified as Bambang Julianto and M. Syafi, alias Panjul — were shot and killed by the joint forces during the confrontation. Harahap added that Insp. Suheryanto, a member of the Serdang Bedagai Regency Water Police Unit, was also arrested as a suspected member of the drug ring. He had been monitoring the waters at the time. He noted other small islands in North Sumatra could become smuggling targets and recommended an increase in sweeping operations and raids among even the most remote and isolated islands. “The North Sumatra Police have to handle this issue more seriously. That includes anticipating smuggling actions from foreign countries because this is part of our responsibility as law enforcers,” he said. Meanwhile the arrested syndicate members are likely to be sentenced under the 2009 Law on Narcotics which comes with a possible six year in prsion or even death.